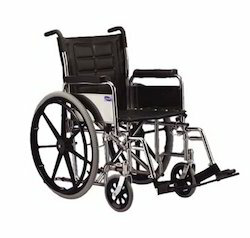 We are a leading Manufacturer of electric wheelchair, commode wheelchair, manual wheelchair and wheel chairs from Chennai, India. To meet the exact prerequisites of our clients, we are included in exhibiting a broad quality scope of Electric Wheelchair to our clients. With the assistance of our specialized gifted personnel's, we offer an extensive variety of Commode Wheelchair, which are made utilizing the high review of material. Weight 450 Lbs., 251 to 350 Lbs., 451 to 650 Lbs., Upto 250 Lbs. 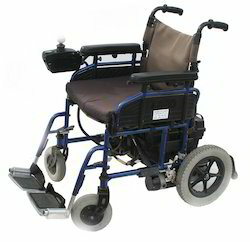 With the advent of latest techniques, we offer an extensive array of Manual Wheelchair that is treasured for high quality.